Home Sheducation Centre What Does “Wind Load” Mean and How is it Calculated? One of the most important factors taken into consideration when building a shed is your wind load. This is generally found by determining your wind region and taking other factors into consideration. The short version is to look at the topography of the land, and see how much land, forest, and other buildings may be present to decrease wind speed. For example, in the middle of a big city, there are going to be a lot of large buildings around. These force wind to blow up and down streets, and structures in the middle of the city are less likely to see sustained winds at high speeds blowing directly on structures. Low-lying lands, while at more risk for flooding, are usually out of the wind a bit, and don’t usually see as much wind as higher land, because the brunt of the force goes higher in the air. If you are in an area with a lot of bush or trees, they have a tendency to “absorb” a lot of the force generated by winds, leaving your structures less affected. Bushy and tree-lined areas, though, are often a “double-edged sword,” because large branches and small trees can become projectiles in high winds. When you put it all together, here is what we do. Remember that most of this is proprietary information, and that we are not at liberty to give specifics for any specific location. Basically, we have quantified four factors: your region, your terrain category, the shielding factor, and the topography. Those are put into a series of tables. Generally, the regions close to shore are high wind regions, and those inland are low wind regions. Then, we have four basic terrain types, from “wide open” like the shoreline to “obstructed” like the middle of a large city or forest. Then, we assess the topography and the shielding factor. We also consider the proposed design and use of the building. 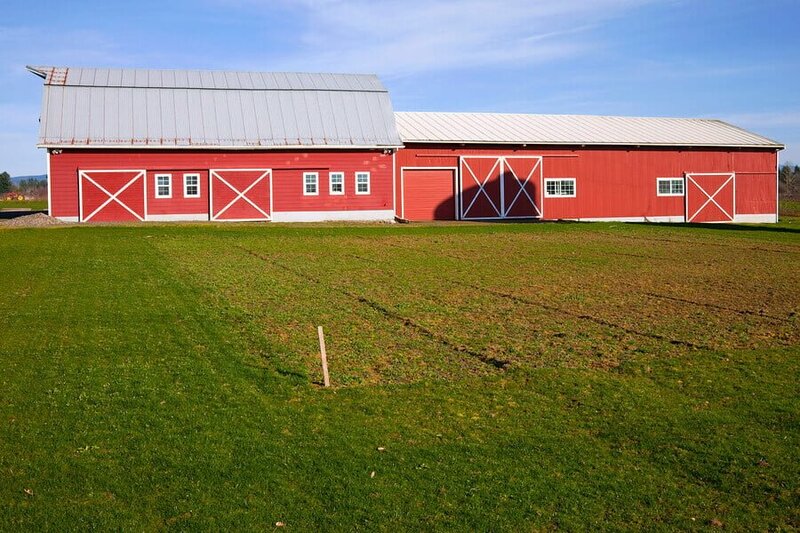 For example, short storage shed has different requirements than a large barn. Then, it’s thrown into the computer (or blender, depending on your point of view), and we determine your correct number. Once we get the number, we can recommend an appropriate design to build a safe shed.